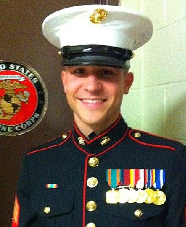 Marine Corps Sergeant Brian Lowe joined the military in May of 2008 out of West Palm Beach, Florida because he wanted to serve his country and protect the freedom of all Americans. After returning from a tour in Afghanistan, Sergeant Lowe began experiencing a lot of pain and other symptoms. Shortly after, he was diagnosed with cancer, which was intensified by exposure during his tour. For his service to his country, Sergeant Lowe has been awarded the Navy and Marine Corps Achievement Award, Marine Corps Good Conduct Medal, Sea Service Deployment Ribbon, National Defense Service Medal, NATO Operation Enduring Freedom Medal, Navy Meritorious Unit Commendation Medal and the Global War on Terrorism Service Medal. Sergeant Lowe and his wife Viviana will receive a mortgage-free home in Royal Palm Beach, Florida.